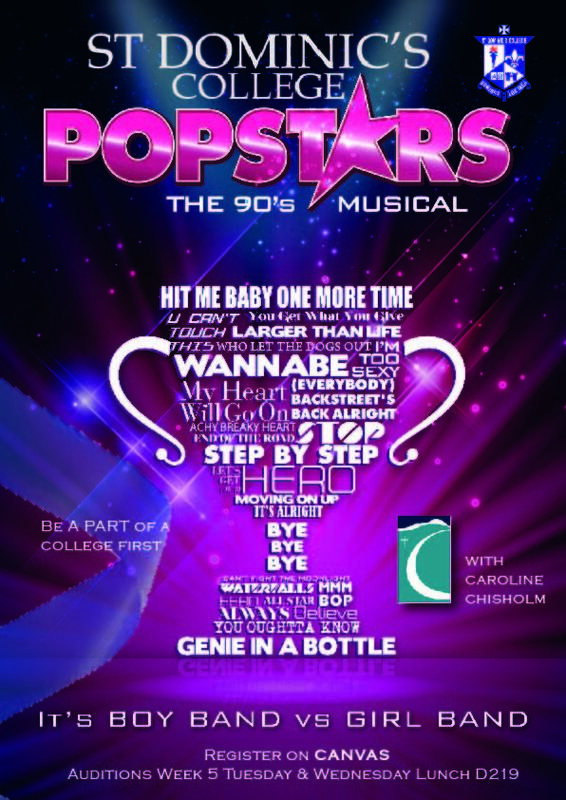 The College is proud to announce, what is presumed as the first ever College Production – Popstars, the Musical. This is an exciting but enormous undertaking that won’t come to fruition without the combined efforts and support of our College community, with more details to follow. Working with Caroline Chisholm, we look forward to putting on a fun and memorable night for all.